Glycerol (or glycerine, glycerin) is a simple polyol (sugar alcohol) compound. It is a colorless, odorless, viscous liquid that is widely used in pharmaceutical formulations. Glycerol has three hydroxyl groups that are responsible for its solubility in water and its hygroscopic nature. The glycerol backbone is central to all lipids known as triglycerides. Glycerol is sweet-tasting and generally considered non-toxic. Triglycerides found in fats and oils are by definition esters of glycerol with long-chain carboxylic acids; the hydrolysis (saponification) or transesterification of these triglycerides produces stoichiometric quantities of glycerol. In this scheme, glycerol is produced as a co-product in the production of long-chain carboxylate salts used as soaps. It is also a byproduct of the production of biodiesel via transesterification. This form of crude glycerin is often dark in appearance with a thick, syrup-like consistency. 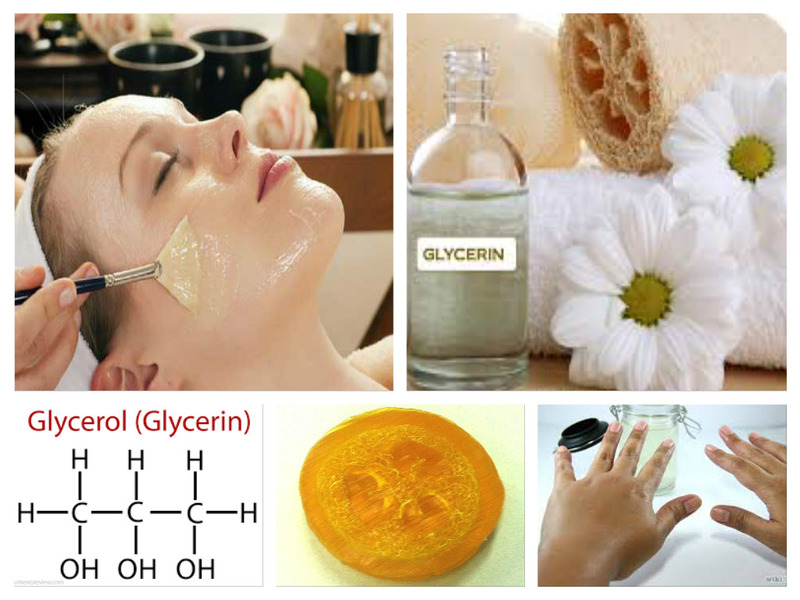 Glycerin (C3H8O3) is used in the manufacture of cosmetics and liquid soaps. It is a valuable by-product of soap manufacturing used as an enriching agent in various personal-care products. It is a humectants that absorbs moisture from the air to keep hair and skin moist. Glycerin is also used as an emollient (skin smoothened and softener), lubricant (skin lubricator that helps prevents moisture loss), emulsifier (thickener) and diluting agent in cosmetics. Glycerin prevents product from drying out, Solvent, Maintains product consistency. Glycerin naturally draws moisture to it which helps keep the skin moisturized and supple. Adding vegetable glycerin to soaps and bath products will moisturize any skin type. Vegetable glycerin is also ideal for edible products such as body butters, lip balms, or massage oils. For soapmaking, we recommend glycerin soap base. Vegetable Glycerin is a clear sweet and odorless liquid that is naturally occurring by product of soapmaking and also an ingredient in soapmaking. Glycerin soaps have long been recognized as best for a completely pure body wash. Glycerin soap is different and in many ways better than other soaps for several reasons. First of all, glycerin soap is a natural soap, hand-made from a 100% vegetable base. Unlike regular detergent soaps made in the factory that are full of preservatives and chemicals used to make the soap smell good or increase lathering, glycerin soap uses none of these. Detergent soaps are noticeably more harsh and drying than glycerin base soaps on your skin. Since glycerin is a natural moisturizer, and a humectants, its natural properties attract moisture from the air to the surface of your skin, and at the same time pull impurities from deep within your pores. Glycerin soaps are formulated to moisturize, heal and protect thus giving you skin conditioning that detergent soaps don’t.